Mother Nature never ceases to amaze. The awe-inspiring beauty of Northwest Florida, namely the stretch of gulf coastline midway between Panama City and Pensacola, is nearly impossible to imagine. 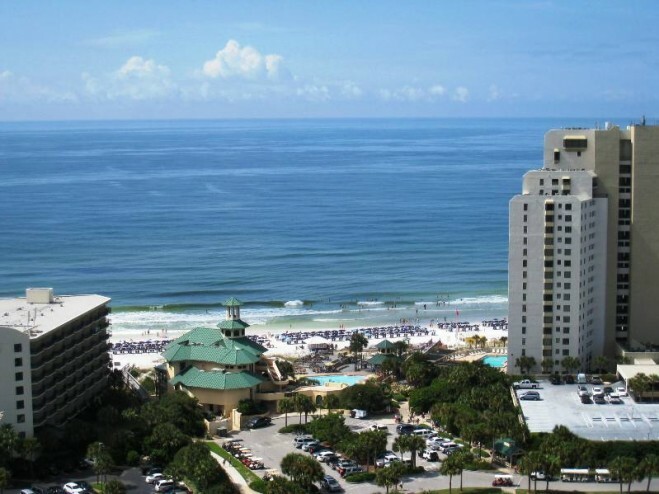 Better known as the Emerald Coast with miles of sugar white beaches, sparkling turquoise water and a myriad of recreational activities, this top rated beach destination warrants an up close and personal vacation experience. 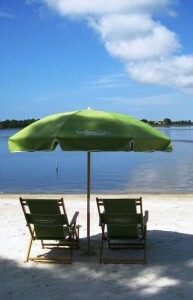 Take it from me, a Floridian since 2007, there are beaches ….and, there are picture-perfect, pristine beaches! You won’t want to miss this special sun-kissed playground! The Sandestin Golf and Beach Resort is the ideal home base for discerning divas seeking to explore and enjoy the area. Whether single, planning a girlfriend getaway or vacationing with family or significant other in tow, the resort has something for everyone. 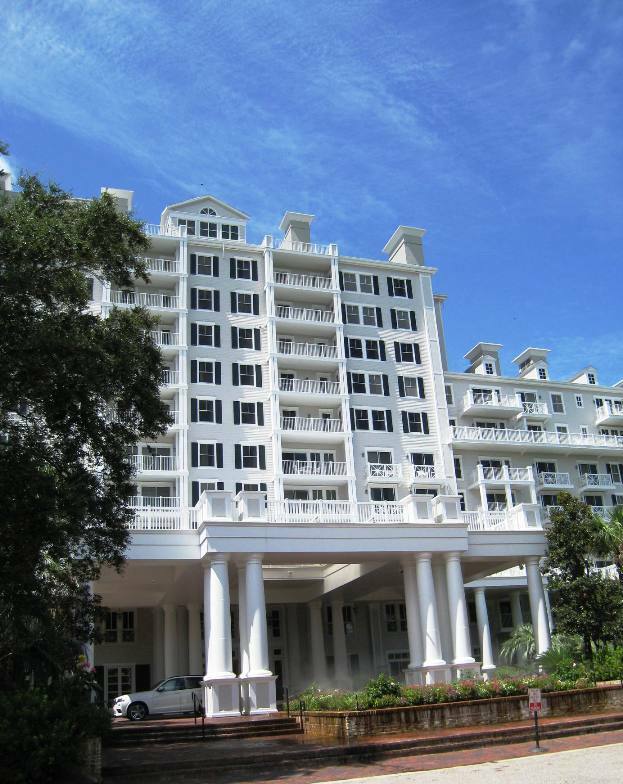 Set on a sprawling 2400 acres anchored between the Gulf of Mexico and the Choctawhatchee Bay, the Sandestin Golf and Beach Resort offers true variety. With over 1,600 villas, town homes, condominiums, vacation rentals and hotel accommodations, ranging in price from $130 to $600+ per night, the resort aims to please on every level. Here you will find affordable comfort to decadent luxury. 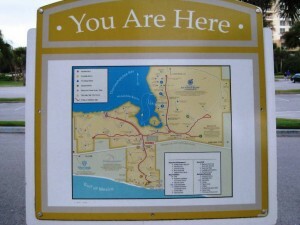 There are over 30 distinct neighborhoods, each offering unique resort access and amenities. 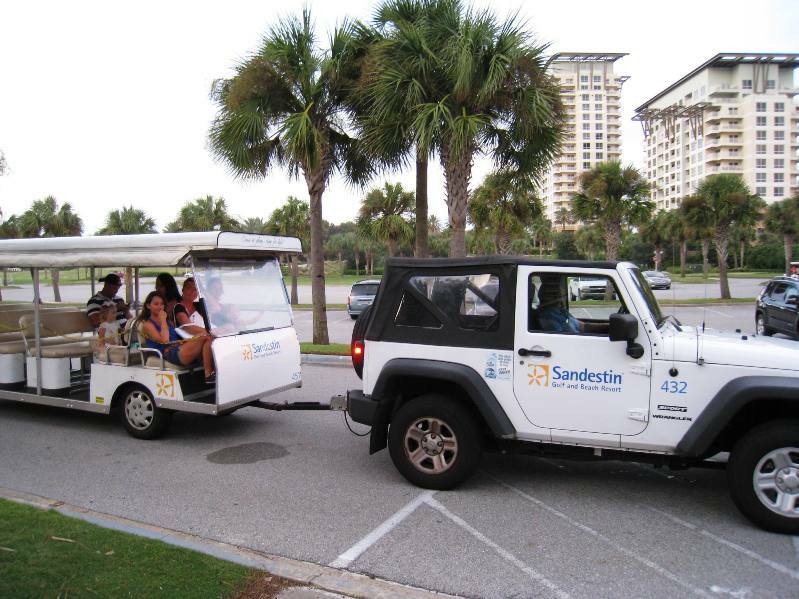 Rentals and rooms – Beachside, Linkside, Dockside…and right in the heart of Sandestin’s pedestrian-friendly entertainment center, aptly named The Village, are among the many choices. I had the pleasure of staying in one of the resort’s condo complexes – The LUAU. 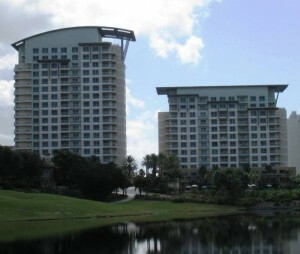 This modern high-rise building with simplistic Asian-inspired architecture, features studios as well as one, two and three bedroom condos. My top floor unit was dreamy. Feeling right at home was an understatement. 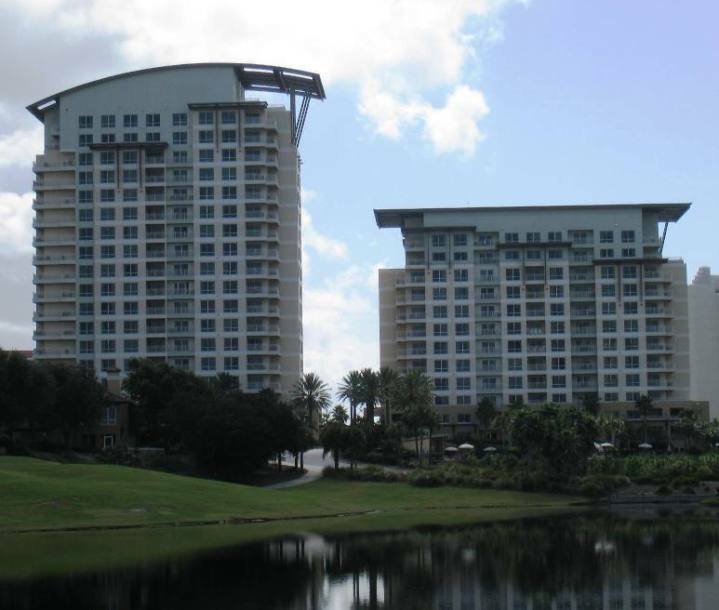 The expansive beautifully furnished two bedroom condo had sweeping views from every room. The over-sized private balcony, complete with enough outdoor seating for a party, was the perfect spot to soak in the scenery. 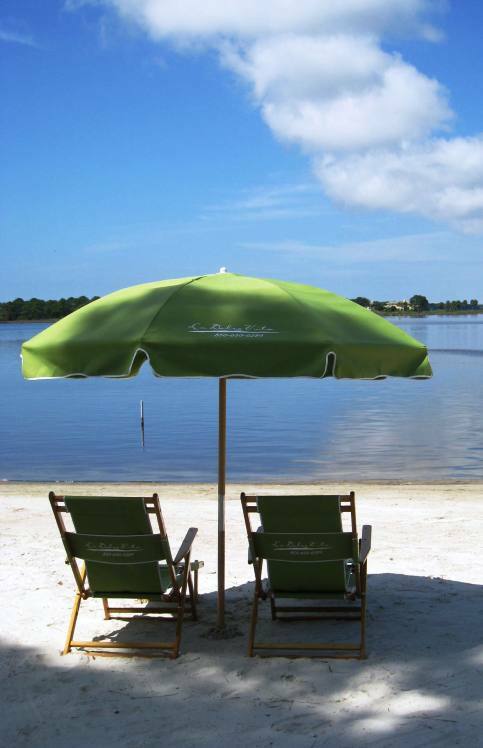 All vacation homes and units enjoy a long list of complimentary services and resort perks – four championship golf courses, a fitness center, 15 world-class tennis resorts, 19 swimming pools, onsite bicycle rental…and access to water sports. 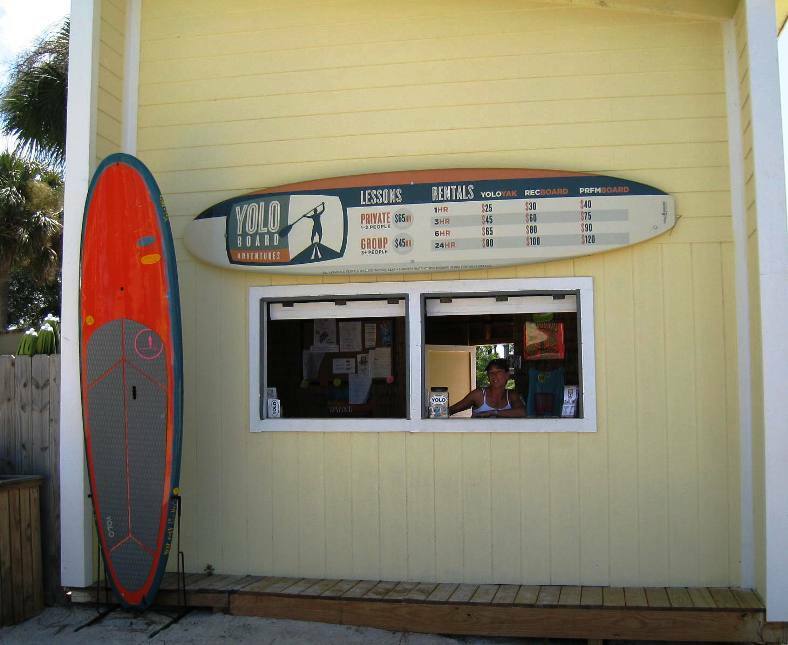 With the flash of your resort key card, you can enjoy free rentals daily – boogie boards, kayaks, canoes and more! 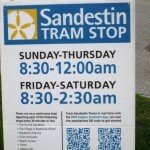 The Sandestin Resort works to make playtime a priority not a privilege 24/7. 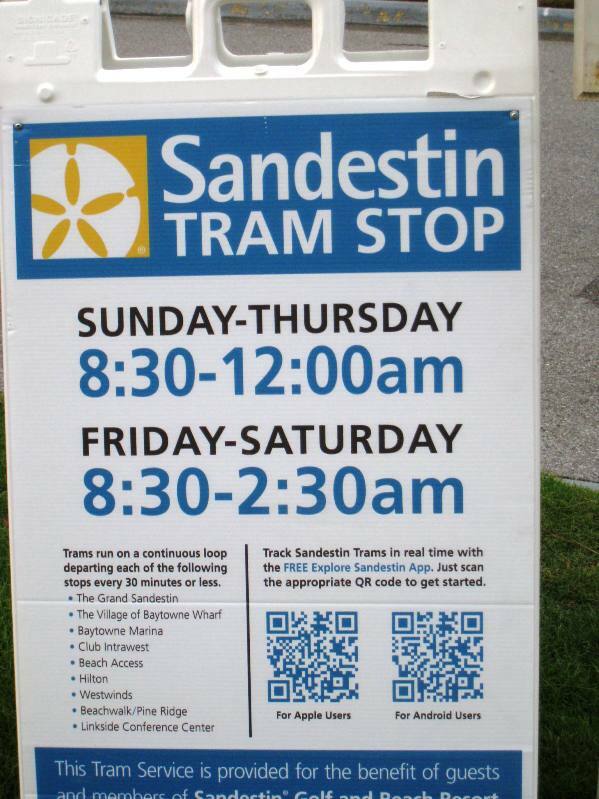 A guest favorite is the resort tram – a best bet and best friend for those evenings when you want to leave the driving to someone else. And, the miles of lush landscaped trails and paths beckon you to celebrate the day with an afternoon bike ride, a morning jog or sunset stroll. 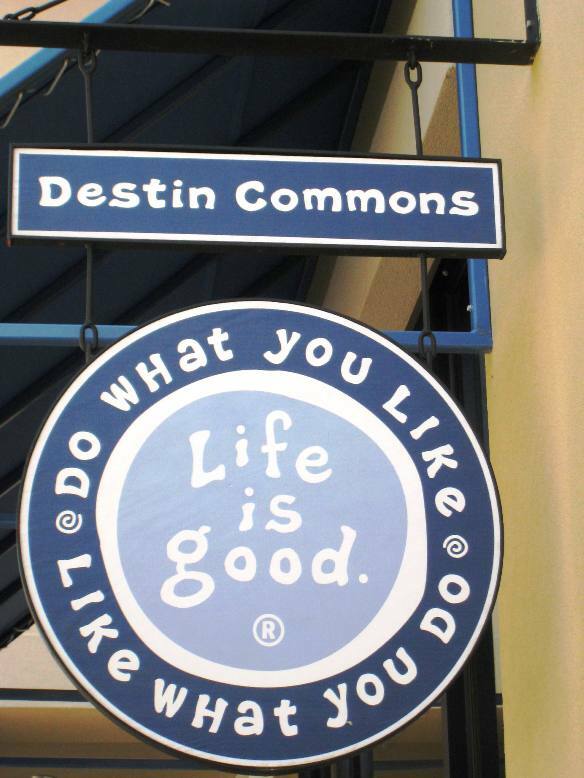 If you are still stumped on how to fill your days and nights, Destin and Seaside are just a short drive away. 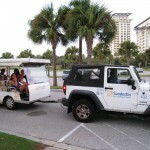 The Sandestin Golf and Beach Resort delivers an enchanting Emerald Coast escape that will long be remembered. 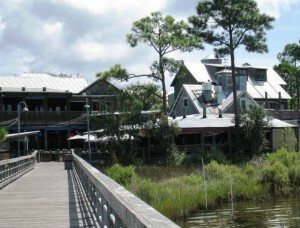 The Village of Baytowne Wharf: The resort’s entertainment epicenter. 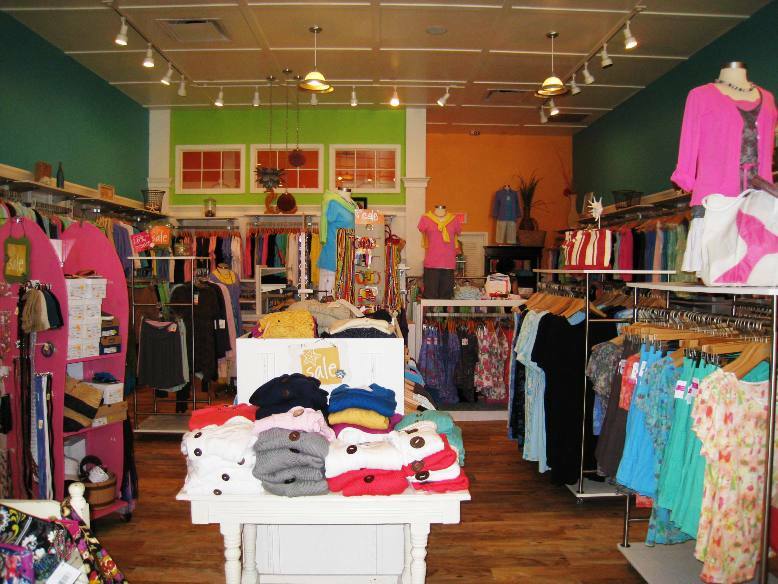 The Village features a collection of specialty shops, nightlife/music venues and over a dozen restaurants. 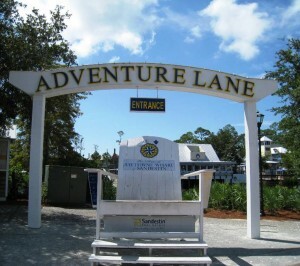 And for the little ones, there is a kid zone with an array of fun-filled activities including a zip-line adventure. The Holidays are a great time for a family vacation in Sandestin; the resort comes alive with a Christmas parade, tree lighting, fireworks and a surprise visit from Santa. 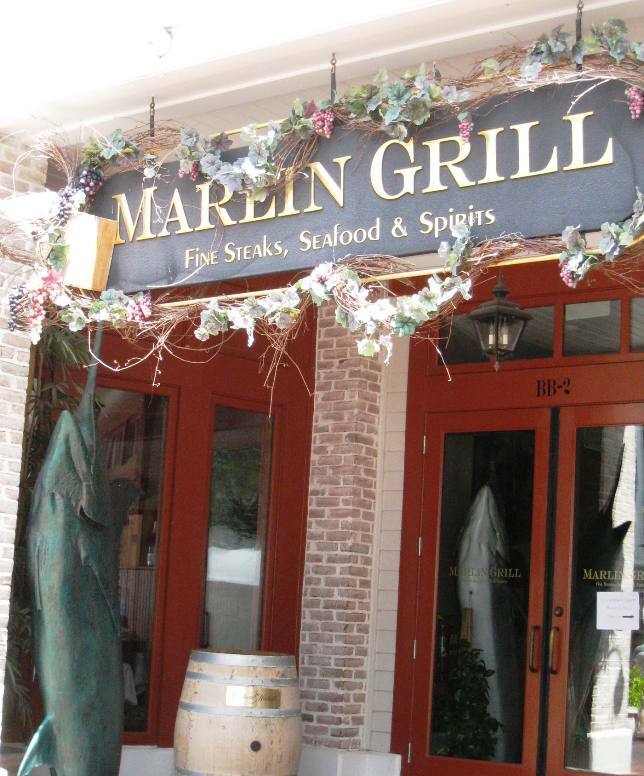 Good Eats & Libations: Marlin Grill in the Village is a top pick offering a intimate dining experience with an extensive menu – from dry-aged Angus Beef to fresh Gulf Coast seafood. And, the Marlin Grill 600 bottle wine list is sure to impress. 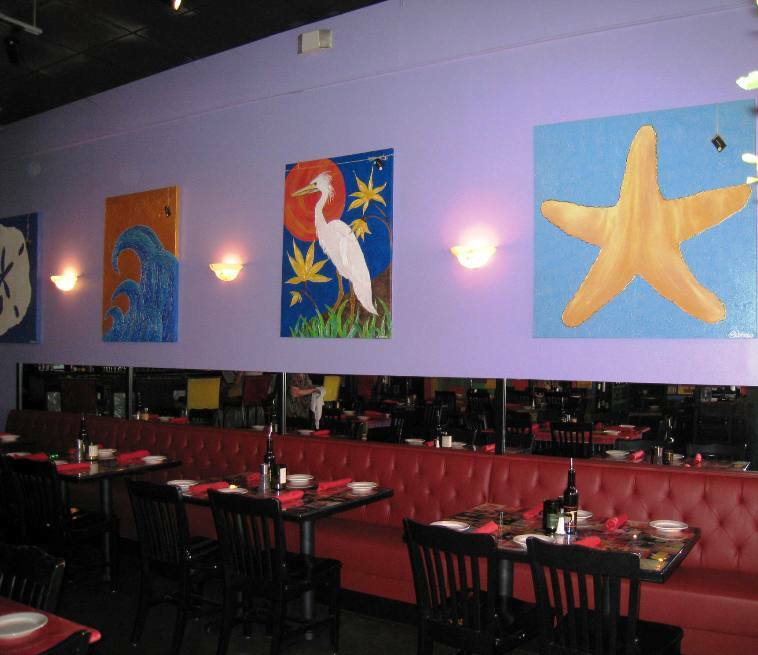 Mark your calendar for the Marlin Grill Holiday Extravaganza Champagne & Food Walkabout. 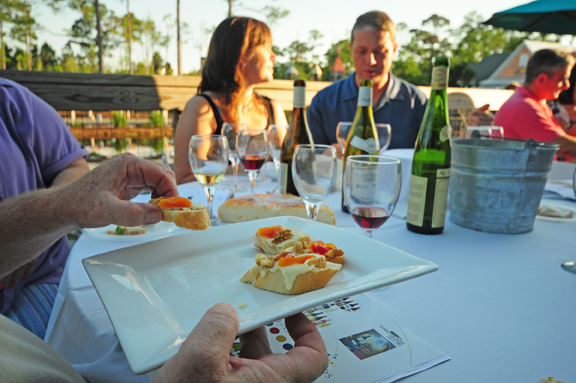 This festive event on November 17th will feature tantalizing food pairings and lots of bubbly that may just inspire you to sing along with Victorian costume holiday carolers on hand. 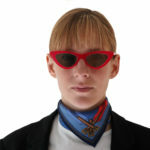 More at www.marlingrill.com. 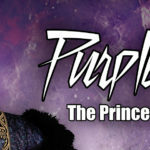 Sure to be a sell-out! 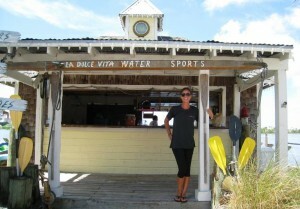 Dolce Vita Water Sports: If you haven’t paddled…you just haven’t lived. 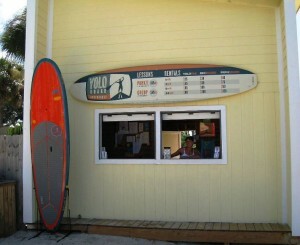 YOLO stand-up paddle boarding captures the heart of true adventure. 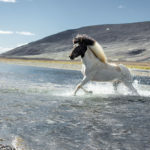 Balance and a little bravery is all you need to get going. Newbies soon convert and keep coming back day after day for the challenge. 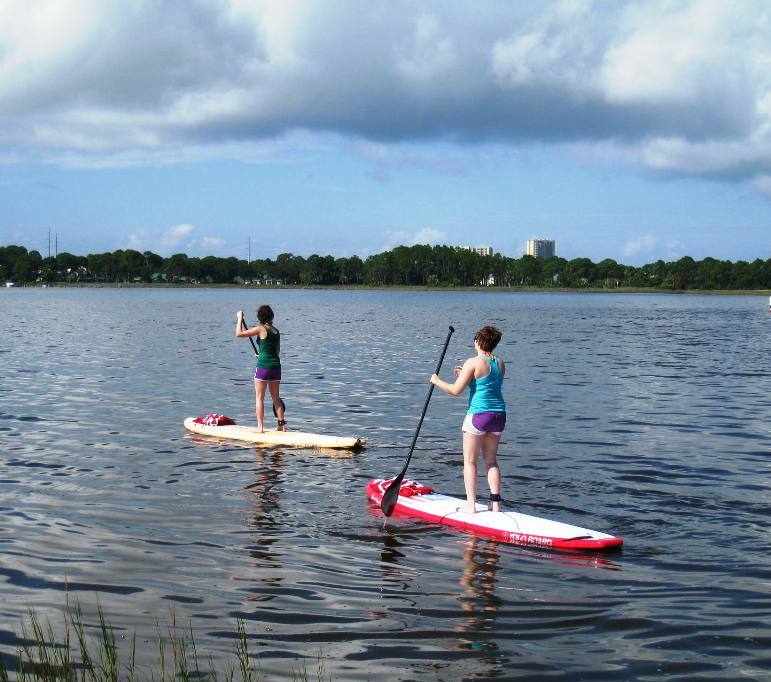 Speed up things with a wave runner rental or opt for a calming sail or canoe around the bay. The Sandestin Resort’s marina water sports center has it all. Silver Sands Premium Outlet Center – A 10 minute drive from the resort. The center features over 110 factory outlet stores including a Saks Fifth Avenue Off 5th, Coach Store…and a new addition, L’Occitane. 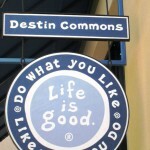 Destin Commons – Uptown shopping and entertainment destination. 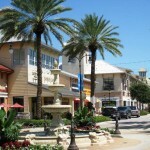 Anchor retailers and restaurants include Sephora, Hard Rock Cafe, Williams-Sonoma, Fresh Produce Clothing, and a Life is Good store. Kiki Risa – A Destin Beach boutique favorite for high fashion labels and unique accessories. 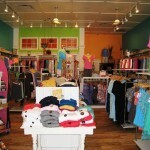 Check out – Threads Clothing Boutique – another fabulous find for trendy threads for men and women. 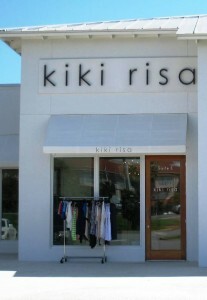 Located just a few doors down from Kiki Risa. Wine down your day at Vin’tij, an eclectic wine bar bistro popular with the locals. 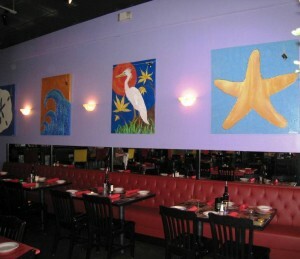 Housed in a small unassuming strip mall, Vin’tij’s colorful and inviting interior makes up for its lackluster exterior.